The "Conceptual sketch" posting presented a survey for designing a portfolio that generates stable profits during every type of economic environment the investor is faced with. Stimulating as well as challenging comments were made providing food for thought on the building blocks for such a model. During our research we came across a paper published in late 2012 by Keller and Van Putten: "Generalized Momentum and Flexible Asset Allocation (FAA), An Heuristic Approach". The interested reader is encouraged to get acquainted with the elements of FAA. Common asset allocation strategies (like the TAA strategy) are based on the so-called "momentum anomaly", which is known for centuries. The gist of the momentum anomaly is that assets often continue their price momentum, defined as the change in price over a given lookback period. Therefore one should buy assets with the highest momentum and sell assets with the lowest momentum. FAA incorporates new momentum factors into risk regime determination. Next to the traditional momentum factor (R) based on the Relative returns among assets, Keller and Van Putten introduced Generalized Momentum by adding these new factors: Absolute momentum (A), Volatility momentum (V) and Correlation momentum (C). In their paper Keller and Van Putten demonstrated that by expanding the traditional momentum approach, portfolio performance increases compared to the buy and hold benchmark, both in terms of return as well as risk. Summarizing FAA, Keller and Van Putten present their strategy with an example universe of 7 index funds. Applying a 4 month lookback, from this universe at the end of each month the top 3 assets are selected through a nested ranking process of these 7 assets based on relative momentum (higher is better), volatility (lower is better) and correlations (lower is better). Last, each of the top 3 assets chosen, has to pass the absolute momentum test: if their absolute momentum is negative, just go into cash. 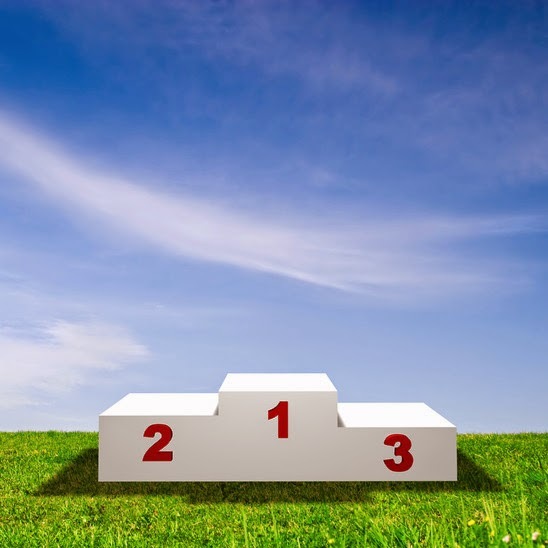 Capital is equally allocated over the top 3 assets or if applicable into cash. 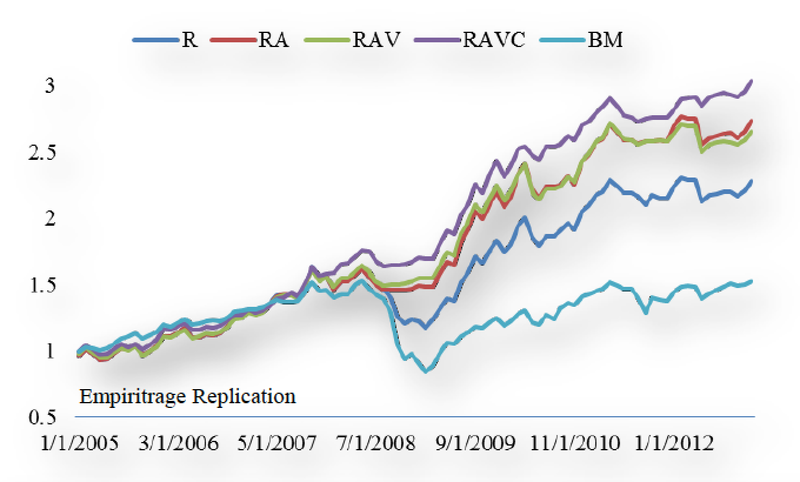 FAA has significantly higher risk-adjusted return than an equal weight portfolio. FAA decreases maximum drawdown dramatically. FAA is robust when adjusting look-back periods. Absolute momentum can directly add value on identifying down side risk regimes and decrease maximum drawdown.